Use fresh fruits and herbs for your homemade cocktails bursting with flavor. 10 inch muddler, mixing spoon and straw are perfect for even the tallest glasses. Includes cleaning wand for a sparkling clean reusable straw. Stainless steel won't affect the tastes of your drink and cleans up easily. 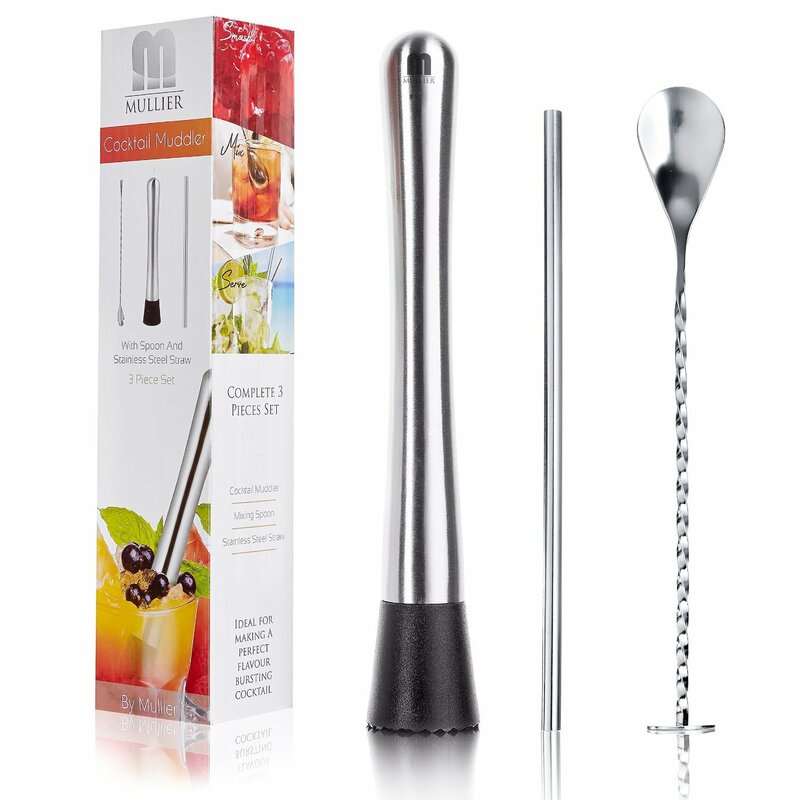 Our 10 inch stainless steel cocktail muddler, mixing spoon and straw set is the perfect complement for any home bartender. The grooved nylon head is designed to easily and completely macerate fruits and herbs, infusing your cocktails with the freshest of flavors. The extra-long reach of these tools make it easier than ever to reach the bottom of your cocktail shaker or glass. We even include a cleaning wand to make sure your straw remains sparkling clean. All pieces are easy-to-clean stainless steel and are dishwasher safe for quick cleanup.